Every year we join in Christian Aid Week (the second week in May) to deliver and collect envelopes around the village for people to donate to this cause. The village is always tremendously generous and each year donations total nearly £2000. 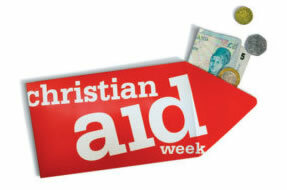 Find out more about Christian Aid by visiting their web page www.christianaid.org.uk.